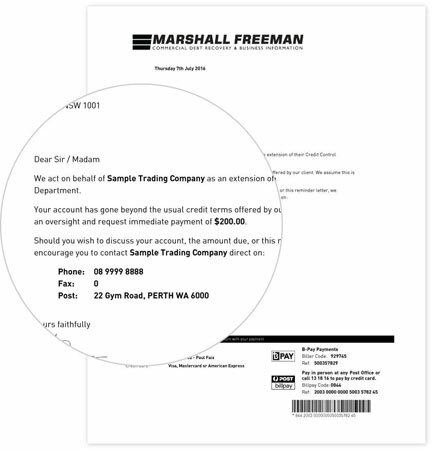 Marshall Freeman have been helping businesses in Perth and throughout Western Australia effectively recover bad debts for over 15 years. Trusted by over 20,000 businesses, we are the leading debt collectors in Australia, providing professional and results driven debt recovery solutions. Offering personal and commercial debt collection services, we incorporate the latest technology with proven recovery practices to make sure your debts are paid on time. Being a specialist debt collection agency, our team of collectors are trained and solely dedicated to making sure your debts are a priority and are recovered with minimal cost to you. At Marshall Freeman, we offer a hassle free collection process, whilst bringing the highest standards of customer service to protect your commercial relationships. That's why we are Australia's preferred debt collection company. If you're looking for professional debt collectors that achieve results, please get in touch as our experience has shown we are able to recover debts most other collection companies write off.